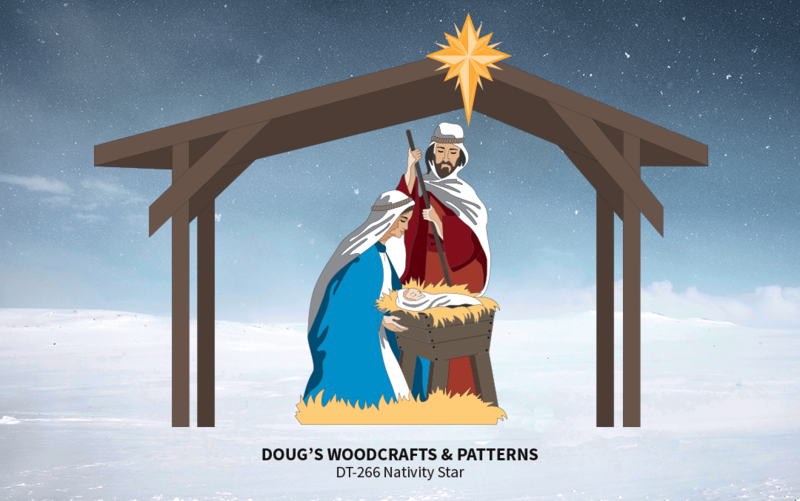 Make this eye-catching Star and add it to your Nativity scene or to a high point of your home. It sure to be noticed. Easy to make and easy to paint using the colour selection shown on the detailed pattern. Star measures 20" Wide by 26" Tall. 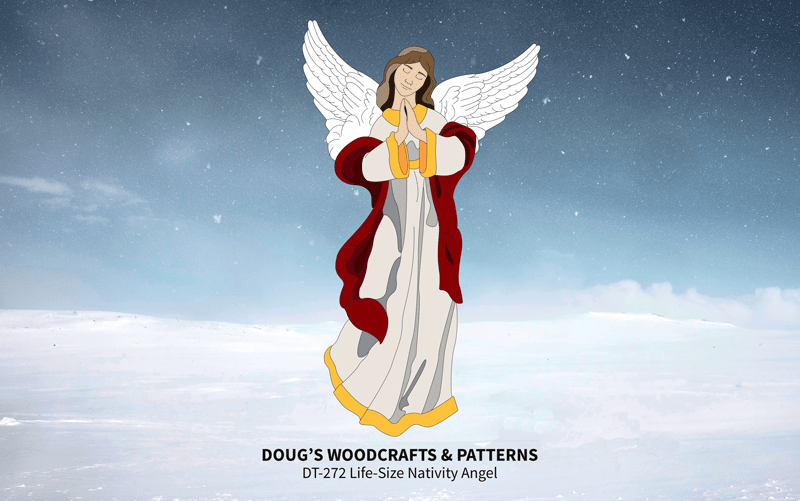 Patterns for DT-260 Blessed Family and DT-271 Stable not included. 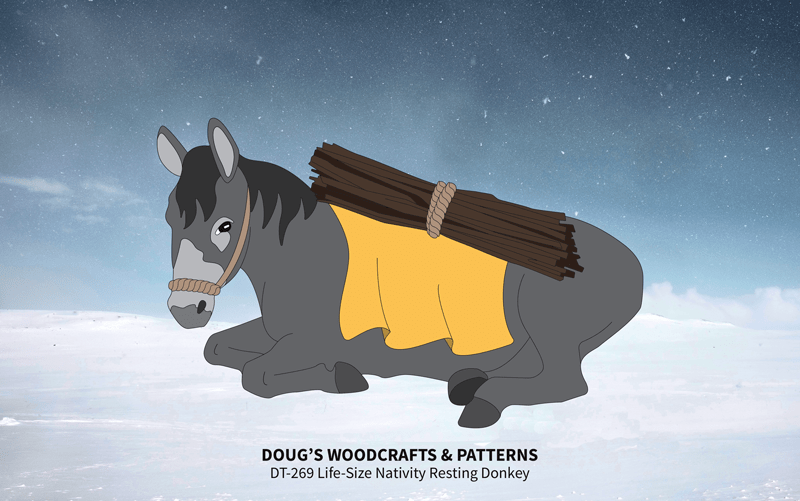 Using this full-size pattern create a stable for your Christmas Nativity scene. Easy to make, assemble, and take apart. Measures approximately 7 feet tall, 8 feet wide and 2 feet deep. See DT-260 for Blessed Family pattern and DT- 266 for Nativity Star pattern. 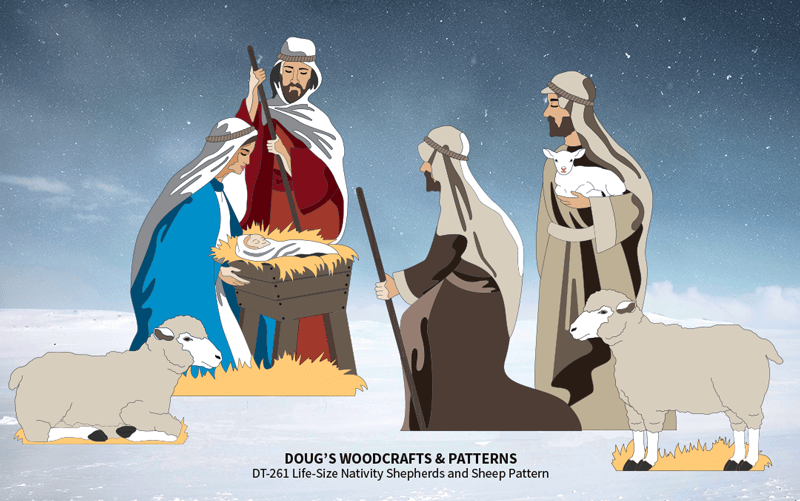 Add this image to your Christmas Nativity Scene by simply tracing this full-size, one-piece pattern onto plywood, cut out with a hand-held jigsaw and paint as indicated on the pattern or paint in colours of your own choosing. Image measures 30" Tall by 47" Long. This adorable image of an Angel will certainly make a great addition to your Christmas Yard display. Using 3/4" plywood, carbon paper (available in the supplies section) this full-size pattern, a hand-held jigsaw and some paint is all it takes to make this eye-catching display measuring 33" Wide by 52" Tall. 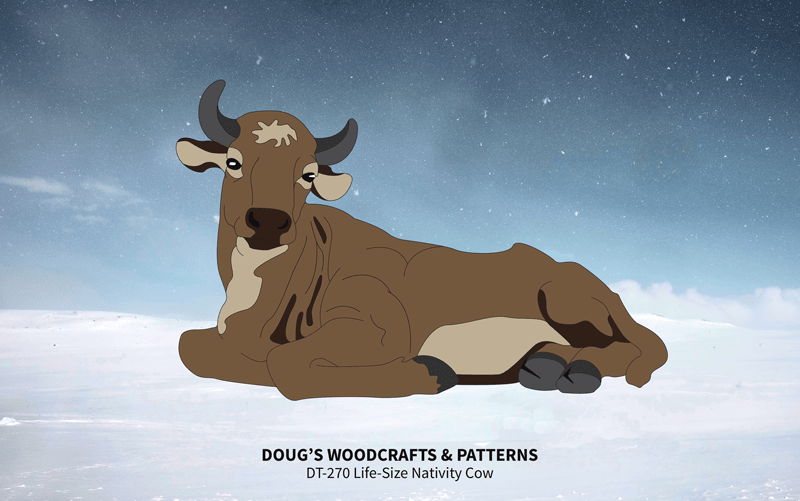 A Nativity scene is not complete without a cow, add this eye-catching display to your Nativity this Christmas. Easy to make with this full-size pattern, carbon paper for easy tracing, a hand-held jigsaw and some paint. Finished display measures 42" Tall by 67" Long. 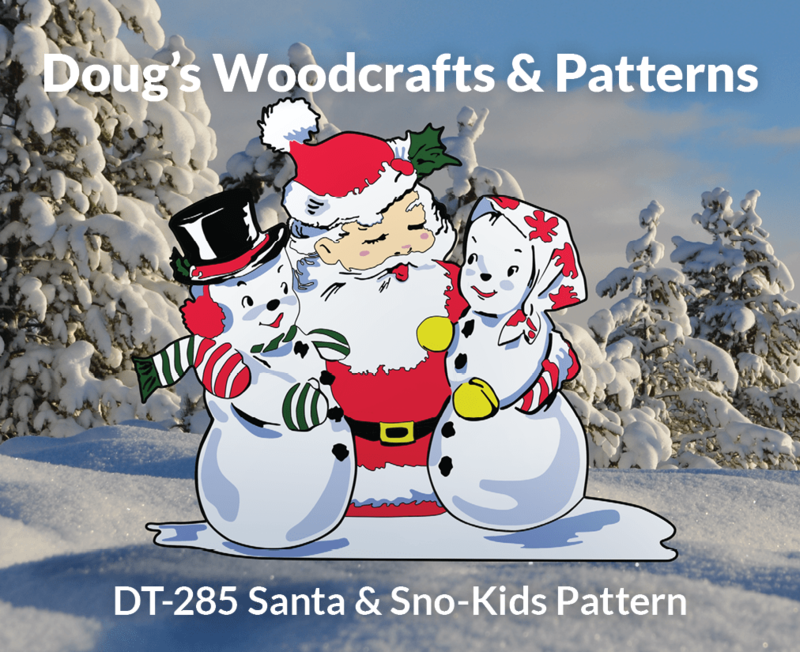 Make this eye-catching, comical yard display by simply tracing this full size pattern onto a piece of plywood 16" by 32", cut out with a hand-held jigsaw and paint. The finished project will measure 30" Tall by 12" Wide. For your Christmas display this Christmas and for many more Christmases to come, Make this adorable image of Cindy Lou Who together with Grinch and Max The Dog. 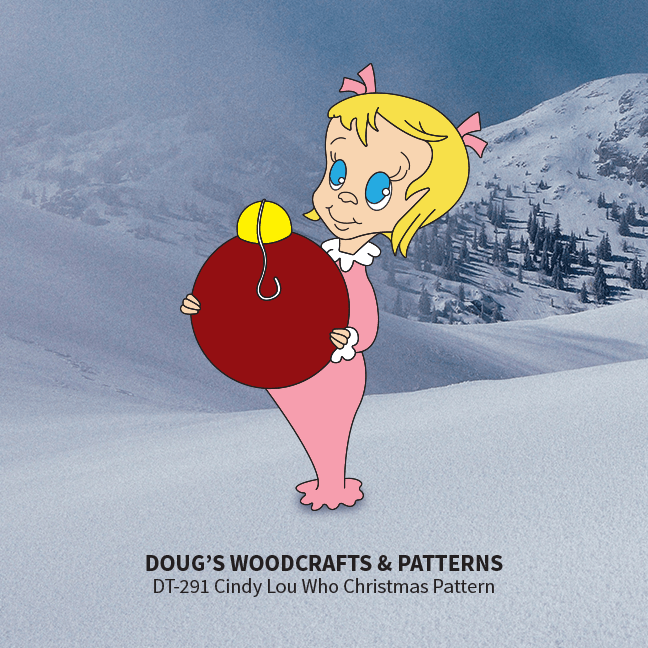 Cindy Lou Who measures 35" Tall by 24" Wide and can easily be make by simply tracing this full-size, one piece pattern onto plywood with the assistance of carbon paper, cut out with a hand-held jigsaw and paint. 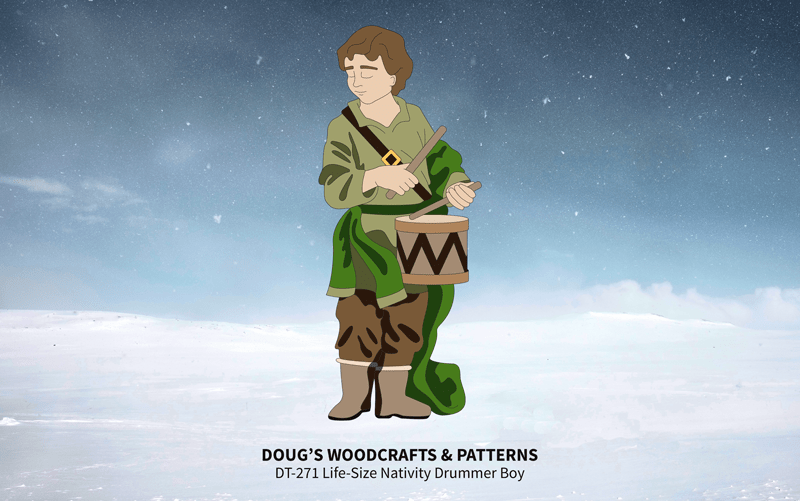 A Nativity scene isn't complete without a Drummer Boy. 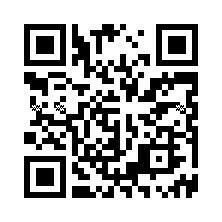 Make this 23" wide by 53" tall image for your yard this Christmas. 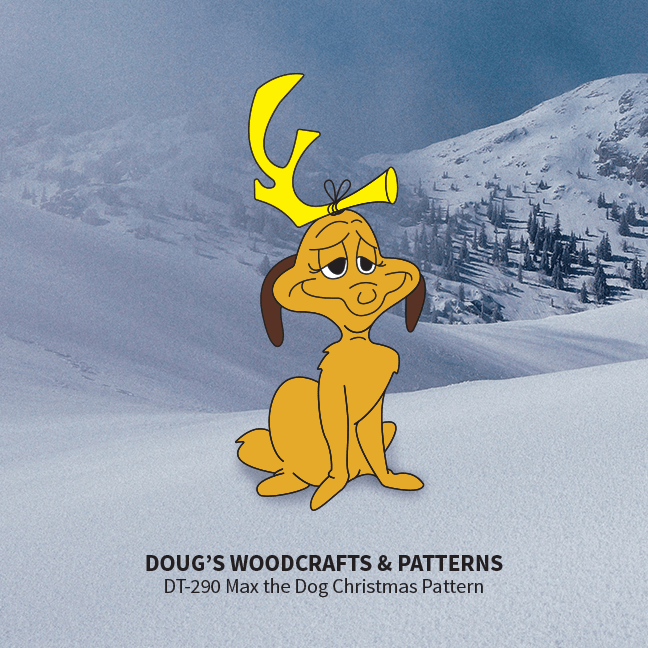 Simply trace this full-size pattern onto plywood with the aid of Carbon Paper (available in our supplies section), cut out with a hand-held jigsaw and paint. You can use the colours as shown on the pattern or devise your own colour selection. 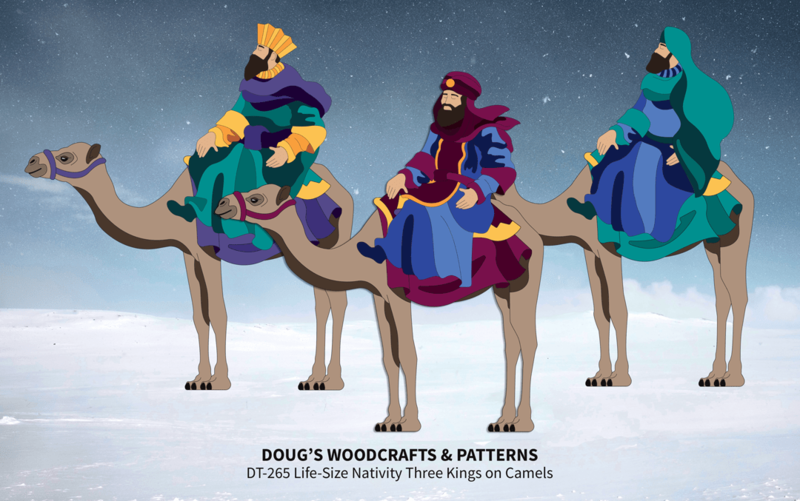 Ensemble #2 consists of 18 images for a complete Nativity yard scene. Includes Baby Jesus, Mary, Joseph, 2 Shepherds, 2 Sheep, 3 Standing Kings, 1 Stable, 1 Standing Camel, 1 Resting Camel, 1 Donkey, 1 Cow, 1 Star, 1 Angel and 1 Drummer Boy. Suitable for a Church yard, community center or your own front yard. Decorate your yard this Christmas with this eye-catching display of Santa with two Sno-Kids. 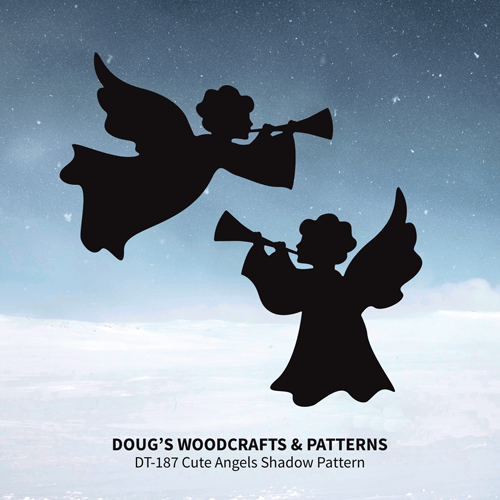 Simply trace this full-size pattern onto plywood, cut out and paint. Measures approximately 47" Tall by 47" Wide.